WEST: March 31 at 1 a.m. +1h. WET: October 27 at 2 a.m. -1h. CEST: March 31 at 2 a.m. +1h. CET: October 27 at 3 a.m. -1h. EEST: March 31 at 3 a.m. +1h. EET: October 27 at 4 a.m. -1h. Summer time Standard / winter time Do not observe summer time More inf. The *October 26, 2014 at. 2h. 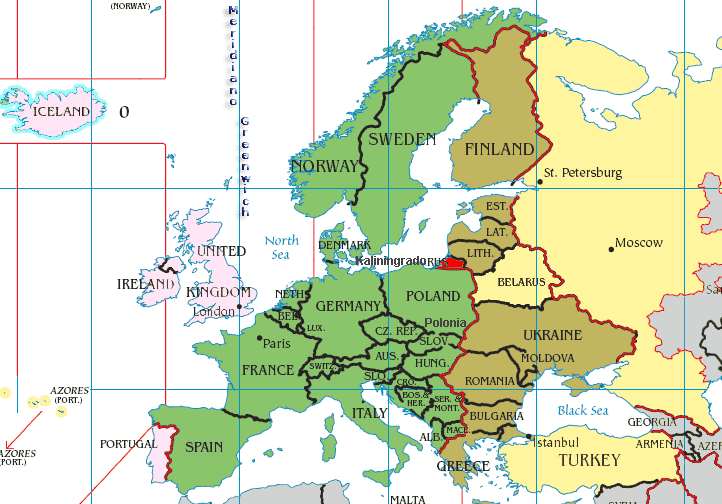 Moscow and Kaliningrad, return to the time zone that was before March 27, 2011, except Belarus that maintains 1 hour which had advance, and equaling its time zone with Moscow, becoming now: Moscow and Belarus = UTC + 3h., and Kaliningrad = UTC + 2h.